by gillian claire: cord blood banking / lifebankUSA. I'm partnering with LifeBankUSA on my blog again today to share a little bit about cord blood banking and to tell you about another great giveaway they are hosting! The right to make choices as a parent is an issue that is heavy on my heart lately with all the talk about vaccination in the media. We are lucky to live in a world where as parents we have the freedom to make many choices. One thing I have learned though is that this freedom of choice doesn't come without an uphill battle. I will tell you from experience that whatever choice you make as a parent, someone will have a problem with it and someone will tell you all about it - especially if you go against what society is comfortable with. At the end of the day, no parent is perfect and we all have to make the choices that are best for us and for our family. Cord blood banking is a relatively new choice that we have the option of at the birth of our children. LifeBankUSA is a private cord blood banking company and they are also one of few companies that offers placental tissue banking as well. Collecting and storing stem cells from a newborn's umbilical cord and from the placenta at birth could one day be used to treat serious illness in your child or a family member! Private stem cell banking is a little pricy but LifeBankUSA offers a lot of payment plans to help out. Financially, cord blood banking was not feasible for us when our babies were born. 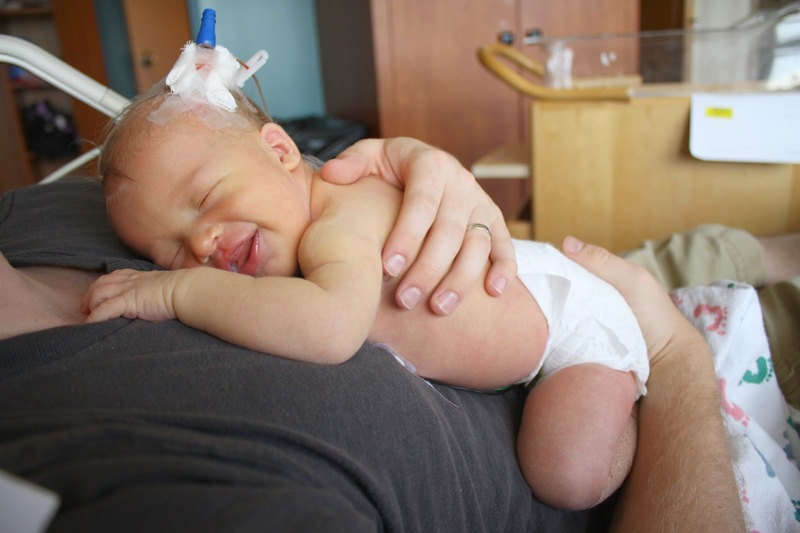 With Asher, I planned to not cut his umbilical cord immediately following his birth which would have additionally cut out cord blood banking as an option for us. However, his cord did end up being cut fairly quickly because of complications that required a NICU stay so looking back I wish I would have at least donated both of my babies cord blood. The science of using stem cells from birth to treat illness later in life is absolutely fascinating to me. I definitely recommend doing a little research into cord blood and placental tissue banking if you are expecting! LifeBankUSA is currently giving away 3 Uniden Lullaboo Video Baby Moniters (valued at $105 each!) on Facebook! So seriously, go check it out and while you're at it head over to their website and educate yourself a little bit on the latest in cord blood and placenta tissue banking! Did you chose cord blood banking for your children? Have you received any negative feedback because of choices you've made as a parent? I'd love to hear your stories in the comments below! I was compensated for this post; thanks for supporting my family by reading!